The territory covered by the Baie-des-Chaleurs SADC is located in the southern portion of the Gaspé Peninsula and extends throughout the Regional County Municipalities (RCMs) of Bonaventure and Avignon. Together, the 26 Baie-des-Chaleurs communities encompass a surface area of 7,916 km2, and travelling from one to the next would require a journey of 340 km. Although the two RCMs have a common economic structure based mainly on forestry and tourism, their socio-economic situations are quite different. Follow these links for more information about the RCMs of Avignon and Bonaventure as well as the tourist region of Gaspésie. To access the directory of resources of the region, we invite you to consult the Road to Entrepreneurship. The dynamic occupation of the territory of the Gaspé and the Magdalen Islands can be seen in its people. The continued contribution of working people and an influx of entrepreneurs, students and investors is needed to ensure the region’s development. 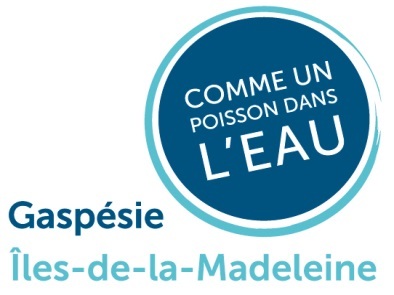 In 2012-2013, a five-year strategy for the sustainable settlement of the Gaspé and the Magdalen Islands has been piloted by the Conférence régionale des élus Gaspésie-Îles-de-la-Madeleine (CRÉGÎM) in collaboration with its partners, as a logical extension of Cap sur l’avenir and the specific agreement on immigration. To date, over fifty organizations have signed the Déclaration d’engagement, including the SADC de Baie-des-Chaleurs. Visit the Portal of the Gaspé Magdalen Islands to find out more about the region, its job opportunities, services for immigrants and financial incentives available to people wishing to settle in the region. It is an indispensible source of information, no matter your age or origin! Based on recognized specific competencies, créneaux d’excellence ACCORD develops a branding focus for each of the regions of Quebec to maximize the participation of local businesses in national and international markets. Three niches of excellence have been recognized for the region under the ACCORD program of the Quebec Ministry of Economy, Science and Innovation: Wind Energy, Recreational Tourism and Marine Resources, Sciences and Technologies. expertise in the management of wind farms in northern conditions. Quebec’s know-how in this field is being enhanced by the TechnoCentre Éolien, a Nordic research and development centre with world-class facilities, and — by the Centre québécois de formation en maintenance d’éoliennes — through training conducted under real conditions in test facilities. Many companies in this niche are now exporting their expertise beyond regional, provincial and even national borders, confirming their leadership position. The Recreational Tourism niche of excellence highlights the unique attributes of tourism in the Gaspésie and Îles-de-la-Madeleine regions, particularly through the Sea and Mountain sector, the Culture sector and the Flavours sector. These regions are working to differentiate themselves from the competition as outstanding four-season, world-class tourist destinations, by enhancing the above-mentioned thematic sectors. promote growth-generating projects that bring real added value. The Gulf of St. Lawrence and its river form an immense basin of cold water unique to the world and rich in unexploited resources. The Marine Resources, Sciences and Technologies niche of excellence focuses on the exploration, exploitation and development of these resources. The Aquaculture section includes freshwater and saltwater activities. It promotes the establishment, consolidation and development of profitable aquaculture businesses in eastern Quebec, operating with respect for the environment. The sector is also exploring innovative approaches to marketing aquaculture products. This sector is particularly focused on the potential of under-exploited species and on enhancing the value of marine residues. In addition to these niches, contributions to the development of information technologies, niche agri-food processing, and forestry are also notable. The Fonds d’aide aux initiatives régionales targets development of the economic and tourism capacity of the Gaspésie–Îles-de-la-Madeleine region in order to promote the creation of jobs and wealth. Supported projects will necessarily have the goal of improving competitiveness and increasing production of value-added goods. Funding priority will be given to projects aligned with the niche of excellence determined by the region within the framework of the ACCORD approach. Particular attention will be paid to the region’s disadvantaged areas.